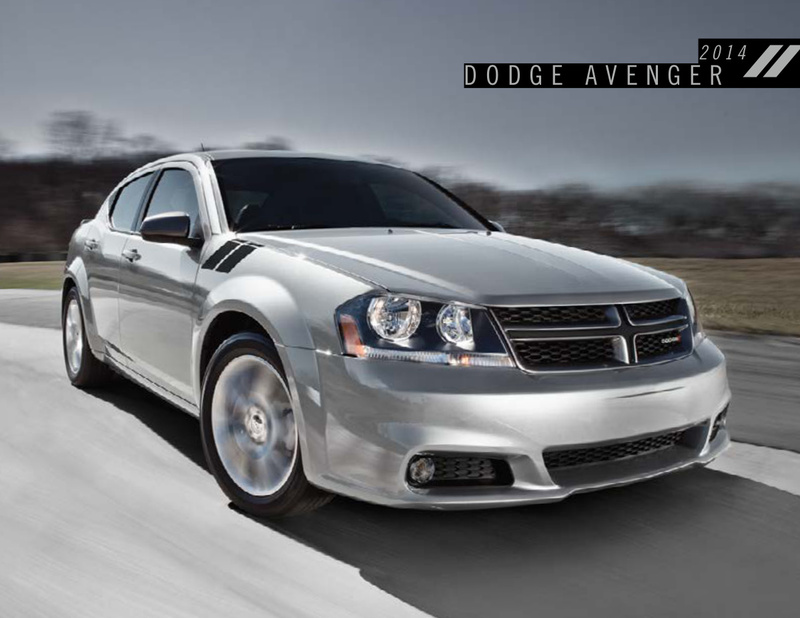 Sales catalog for the 2014 Dodge Avenger featuring the Avenger SE, Avenger SXT, Avenger R/T. Engine options are a 173hp 2.4L inline-4-cylinder and a 283hp 3.6L V6. Exterior color options are Redline Red 2 coat pearl, Black, True Blue pearl, Deep Cherry Red crystal pearl, Billet Silver metallic, Bright White, Granite Crystal metallic, and Blue Streak pearl.